The level of customer service in a luxury location is more high touch, meaning more interaction between the facilities department, store managers and with field and store personnel. This higher level of interaction helps ensure a seamless flow of communication, creating a system that can support the grand standards expected by customers. Within any physical location, there are issues that can arise. Lights can burn out, faucets can leak and air conditioning/heating systems can break down. These issues within a box store may not necessarily be deemed urgent and may be delayed until the next business day. 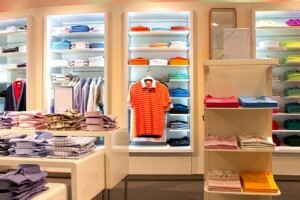 In a luxury retail location, customer comfort is of the utmost importance. Anything that can negatively affect a customer’s experience has the potential to be elevated to an emergency, ensuring issues are remedied as soon as possible, including after-hours. There is a certain look and feel involved in a luxury retail location. Every light fixture, every fitting room door handle, every piece of hardware involved must match and be in pristine condition. If a door handle breaks, sourcing a new handle may not be as easily done in a luxury location, as the door handle must be an exact match. Maintaining this standard is an important role of the facilities department and the various contractors involved. ServiceChannel can provide support to stores to ensure contractors are highly-competent and able to properly replace broken hardware. We also ensure contractors have sufficient liability insurance. When a contractor enters a store their clothing, how they interact with store personnel and customers are important facets of contractor management. The Call Center that ServiceChannel operates is a store’s first line of support if a contractor doesn’t respond promptly to a service request. The ability to send alerts and push reports are important steps to ensuring standards of excellence are maintained. Being one step ahead of potential issues within a location is an important management role. Ensuring clear and consistent communication between location, contractor and management is a way to mitigate risk and decrease store dissatisfaction. As an example, Apple facilities has the mantra ‘like new every day’. There’s an expectation of how the store must look and feel every day when the doors open to the public. To maintain this expectation, there are certain required systems and processes that must be in place. ServiceChannel is proud to offer these types of supports to your store.